Rose Bertin was born Marie-Jeanne Bertin (1747-1813) in Abbeville, a textile town in the Picardy region of France. Her family was not wealthy, and so she was apprenticed to a marchande de modes (fashion merchant) at a young age. By 1772 she had worked her way up to the exclusive rue Saint-Honoré in Paris, where she opened her own shop under the name of the Grand Mogol. She quickly won the patronage of several influential courtiers, including the duchess of Chartres, Louise Marie Adélaïde de Bourbon, who introduced Bertin to the newly crowned queen, Marie Antoinette, in the summer of 1774. The queen of France quickly became Bertin's most famous customer. Sources of the day (including Bertin's surviving business records) document more than 1,500 clients; undoubtedly, there were many more of whom no credible record survives. In addition to Marie Antoinette, Bertin dressed the queens of Spain, Sweden, and Portugal; Grand-Duchess Maria-Fëdorovna of Russia; and many European aristocrats. The latter group included Marie Jeanne Bécu, the comtesse Du Barry; the duchess of Devonshire; Georgina Cavendish and the cross-dressing Charles Geneviève Louis D'Eon de Beaumont, Chevalier d'Eon. Bertin also dressed celebrities like the Vestris family of dancers and the actress Mademoiselle de Sainval of the Comédie-Française, who were fashion plates both onstage and off. Indeed, Bertin was the first "fashion designer" to become a celebrity in her own right. In the twenty-first century, it is taken for granted that fashion designers can achieve international fame. But the ancien régime offered few avenues for social mobility, particularly for unmarried women of humble birth. Bertin overcame these obstacles with equal measures of talent and ambition, manipulating the young queen and the emerging fashion press to make her name and her creations known throughout the world. Marie Antoinette is remembered as a woman preoccupied with fashion. In fact, before she met Bertin, she was not considered particularly well dressed. Bertin was not Marie Antoinette's only marchande de modes; the task of clothing the queen was far too demanding for just one person, and Bertin had hundreds of other clients to accommodate. But no other marchande de modes enjoyed such easy access to the queen or to the royal purse. Thus, Rose Bertin and Marie Antoinette were inextricably linked in the public imagination. When the marchandes de modes of Paris were incorporated in 1776, Bertin was elected as the guild's first mistress. In this post, she earned the right to dress the life-sized fashion doll that toured the mercantile centers of Europe and beyond, advertising French fashions. In 1777 Bertin had a staff of forty employees, not including dozens of subcontractors and suppliers. By 1778 Bertin had grown so powerful at court that the press dubbed her France's ministre des modes, or "minister of fashion." The unofficial title underlined Bertin's position as a trusted royal adviser as well as a representative of France to other nations. Bertin's partnership with the queen ensured her success, but it would also prove to be her undoing. As Marie Antoinette's popularity waxed and waned, so did that of her favorite minister. Courtiers were outraged by Bertin's privileged place in the royal circle, unprecedented for a commoner. Furthermore, her success at court gave her an ego of princely proportions. Soon Bertin was as famous for her arrogance and astronomical prices as she was for her fashions and celebrity clients. Previously, labor had represented only a fraction of the cost of a garment. By demanding star status and a star's salary, Bertin helped elevate fashion from a trade to an art. The outbreak of the French Revolution forced hundreds of fashion workers out of business or out of the country. Some left voluntarily, following their aristocratic clients; others feared that they would be persecuted if they remained in France. With her ties to queen and court, Bertin had every reason to fear for her life as well as her livelihood. While the aristocracy saw Bertin as an upstart and an interloper, to the revolutionaries she was no better than an aristocrat herself. Royalists and Republicans alike blamed Bertin for encouraging Marie Antoinette's excesses, which she continued to do right up until the queen's imprisonment. Bertin fled Paris in 1792 and spent the next three years in such Émigré havens as Brussels, Frankfurt, and London, where she continued to dress fashionable foreigners and French exiles. Unlike her royal muse, Bertin managed to survive the French Revolution unscathed. Although she was twice put on the government's Émigré list, she managed to prove that she had left France on legitimate business both times. The Émigré list was the official record of people who had emigrated, thus forfeiting their property and, in some cases, their lives. Effectively, Bertin was declared a fugitive. By the time Bertin returned to Paris, she was out of danger but also out of fashion. Bertin could still count a few English, Russian, and Spanish aristocrats among her clients, but hardly any Frenchwomen. Indeed, many of her French clients had perished on the scaffold, leaving their bills unpaid. The Revolution cut Bertin's career short at the height of her power, and she never recovered financially or emotionally. She died at her country retreat in Épinay-sur-Seine just a few months too soon to see restoration of the monarchy in 1814. Even after her death Bertin remained a potent and provocative symbol of the elegance and excess of the ancien régime. See also Court Dress; Fashion Designer. Chrisman, Kimberly. "Rose Bertin in London?" Costume 32 (1999): 45-51. Langlade, Émile. 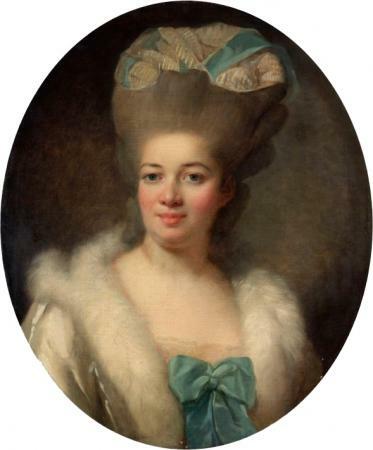 La marchande de modes de Marie-Antoinette: Rose Bertin. Paris: Albin Michel, 1911. Entertaining but unreliable biography. --. Rose Bertin: The Creator of Fashion at the Court of Marie-Antoinette. Translated by Dr. Angelo S. Rappoport. New York: Charles Scribner's Sons, 1913. An English-language biography adapted from the French version. Nouvion, Pierre de, and Émile Liez. Un Ministre des modes sous Louis XVI: Mademoiselle Bertin, marchande de modes de la reine, 1747-1813. Paris: Henri Leclerc, 1911. Contains detailed information about Bertin's family history. Sapori, Michelle. 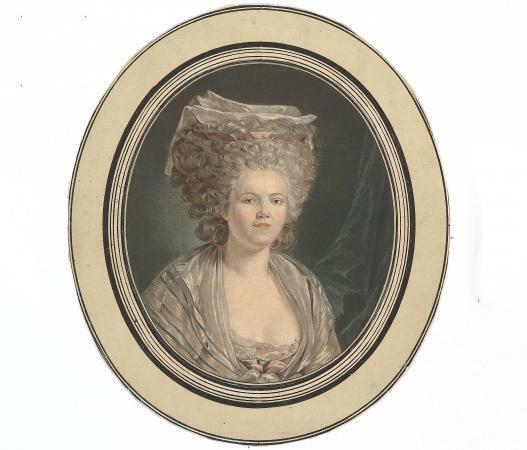 Rose Bertin: Ministre des modes de Marie-Antoinette. Paris: Regard/Institut Français de la Mode, 2004. Illustrated monograph incorporating recent research on Bertin's career, competitors, and clients.